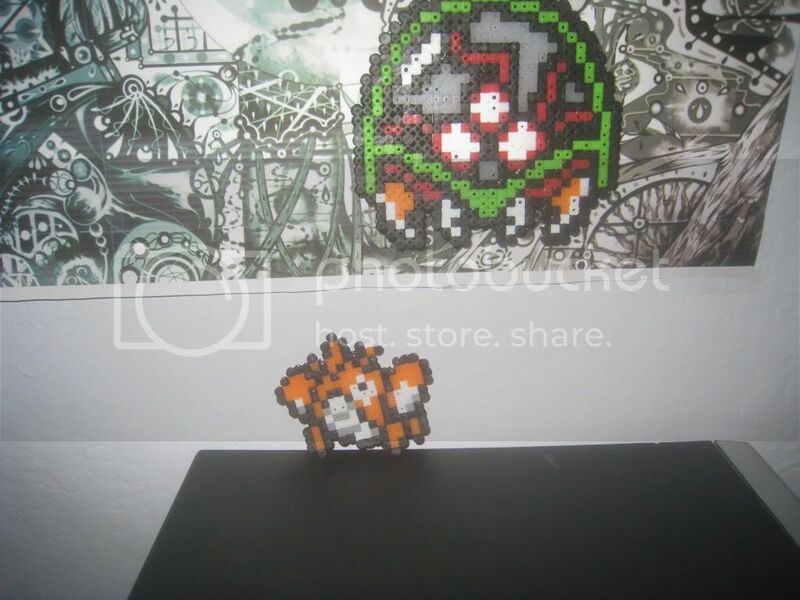 Over the past month or so I've been making some perler things in my free time, and tonight I finished making a Metroid and I figured that since this is a metroid site I should post it here as well as my other things. 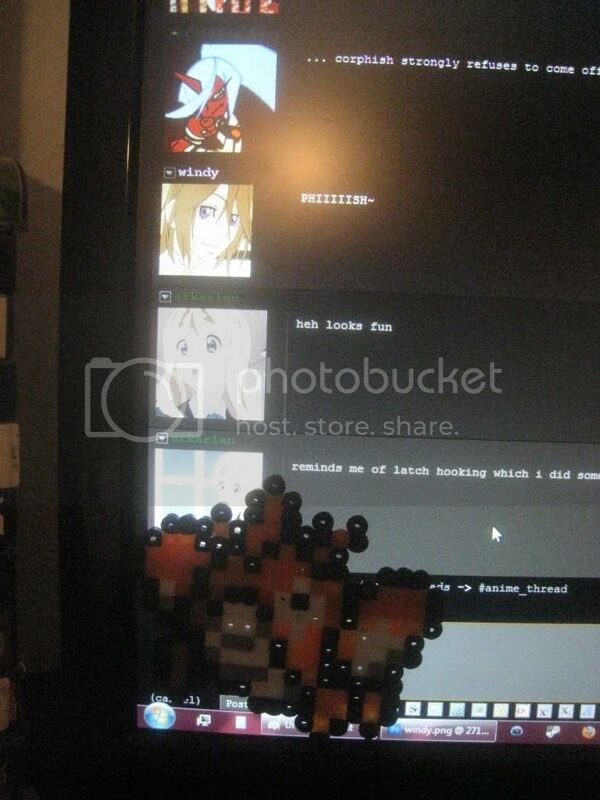 If any of you guys have made perler stuff feel free to post it and stuff. 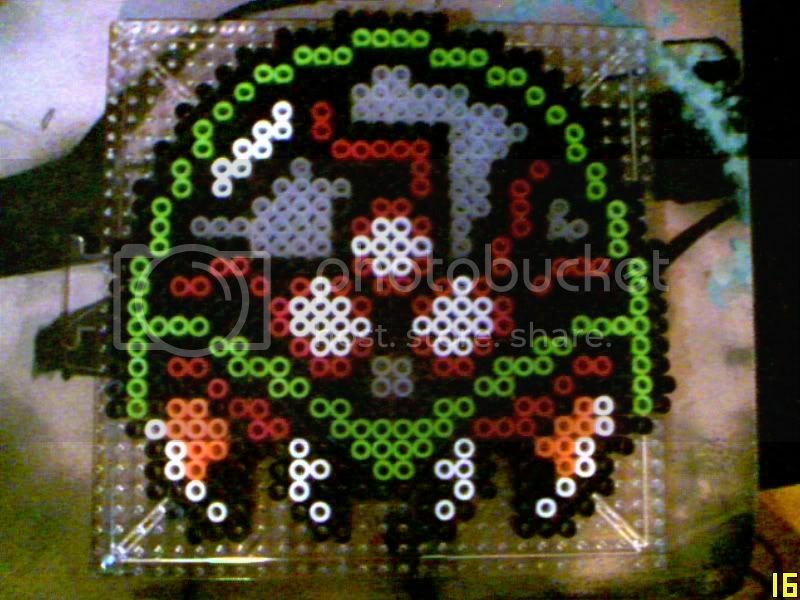 Here's the metroid I just finished making a little bit ago. 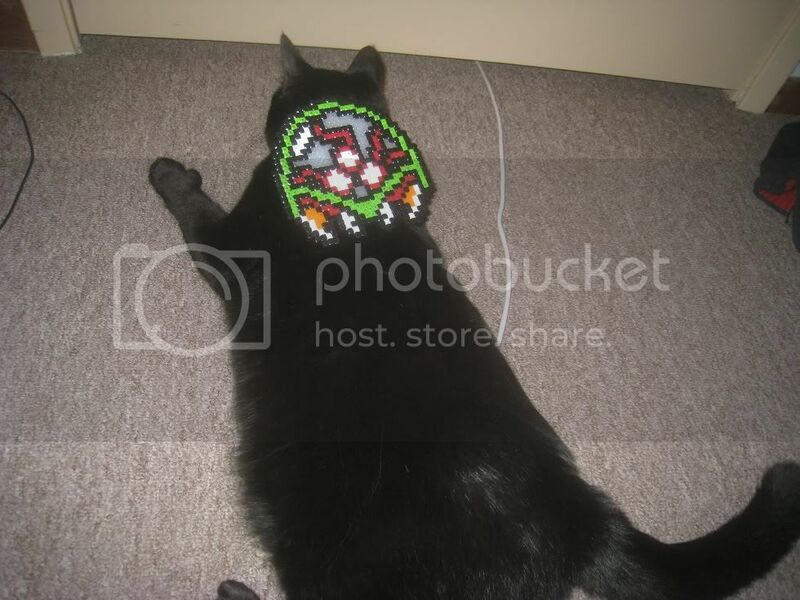 He used a LOT of black beads. I made this for Andrew (spidey-widey) for his birthday. It might not be the zero mission metroid sprite, but whatever. 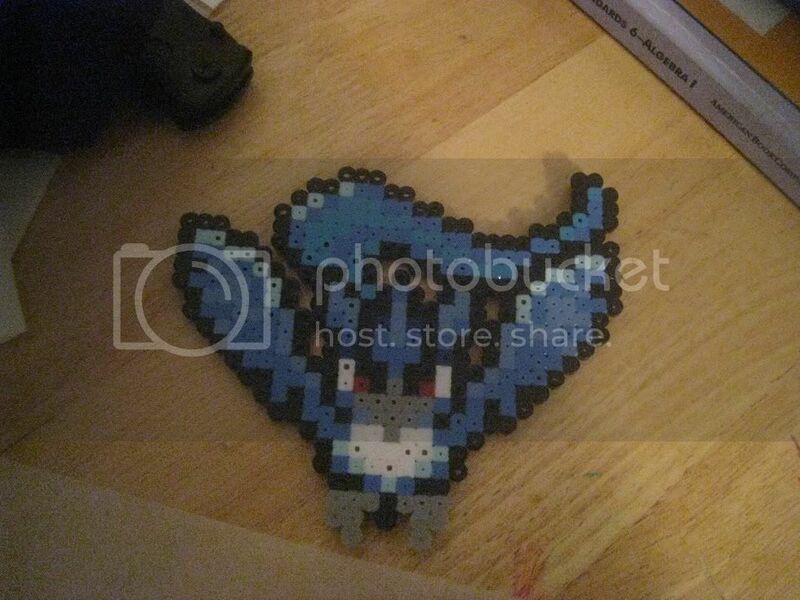 Next we have an Articuno I made for another friend for his birthday. 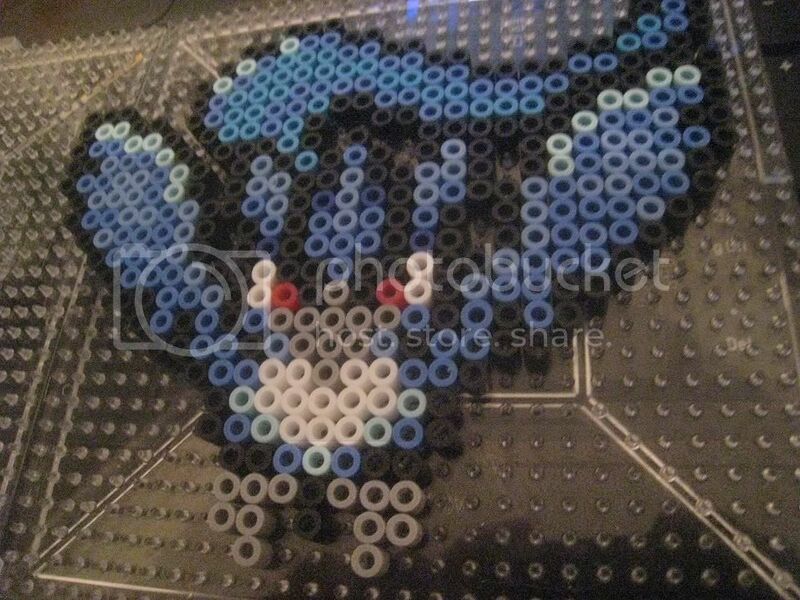 I had to make this one pretty fast because I was already late to his party by the time I finished making the black-bead outline. and last but not least, we have Corphish. I made him as a test because it was the first one I made, and I wasn't totally sure how to melt them right. Run corphish, that isn't a pokemon! They look good. Especially the Metroid. You just have to press a bit harder Ryu. Oh no Corphish, run faster! It is possible to make it so there aren't any holes, but in order to do that it would end up being really thin and just wouldn't look good imo. I'm not sure why some beads closed up while others stayed open, I guess they were just made slightly different than the others. did this one show up? the background for her transformation scene is heterosexuality. 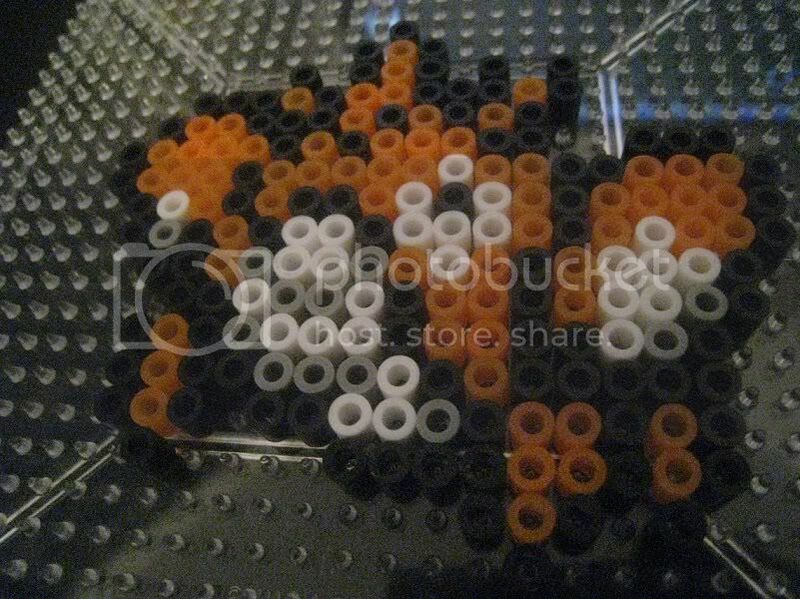 Decided to start working on Perler stuff again. I plan on making at least 5 of these small little League of Legends sprites. I got Annie and her bear Tibbers done pretty much. I ran out of black so I need to buy more before I can outline the bear. Those are some of the others I plan to make next. They're the champs my waifu plays the most so I figured I'd make some and just give them to her as a surprise gift BECAUSE I AM NOT A CRAFTY MAN AND CANT MAKE ANYTHING ELSE. 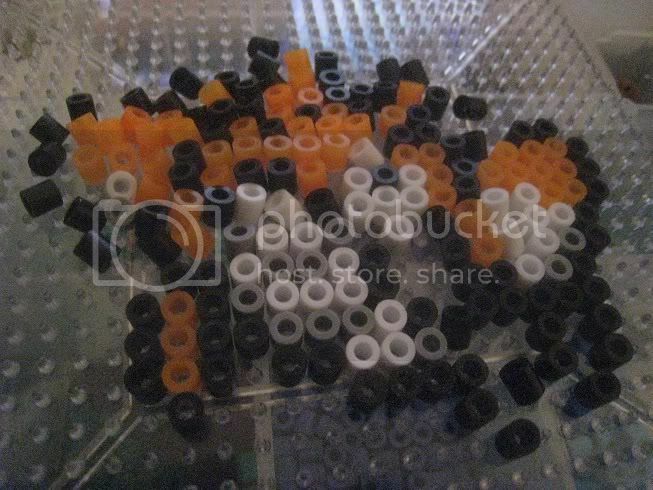 Decided to start working on Perler stuff again. I plan on making at least 5 of these small little League of Legends sprites. I got Annie and her bear Tibbers done pretty much. I ran out of black so I need to buy more before I can outline the bear. https://dl.dropbox.com/u/13367733/tumblr_m9w3dhmWbs1r3ykgdo1_500.png https://dl.dropbox.com/u/13367733/tumblr_m41yh2Wxz91r3ykgdo1_500.png https://dl.dropbox.com/u/13367733/tumblr_m44oknpEho1r3ykgdo1_500.png Those are some of the others I plan to make next. They're the champs my waifu plays the most so I figured I'd make some and just give them to her as a surprise gift BECAUSE I AM NOT A CRAFTY MAN AND CANT MAKE ANYTHING ELSE.